I posted last week a bit about how ICV was chosen to Live Webcast "Startup School" at Stanford University on October 20 2012. I posted that last week. Since then we've had a LOT of requests for the streaming archive. I now have those available. Seems the most popular speaker was Facebook Founder Mark Zuckerberg. No surprise. And he did deliver a very personal and insightful discussion. There were many other compelling and interesting speakers. Github founder Tom Preston-Werner's discussion was of interest to us as Web Developers too. Here are the links to those Startup School Videos from the Startup School webcast discussions in the order of appearance from the Live Webcast. ICV provided live HD interviews and Final Cut editing on the Show Floor for the Internet Retailer's third annual Mobile Marketing & Commerce Forum, held at the Manchester Hyatt Hotel in San Diego, October 8-10, 2012. Our ICV Web Developers in Pleasanton Ca built a custom Archive video media portal for the Internet Retailers and pushed completed video to the web within minutes for archived on deamnd access. ICV was in Florida for a 2 day Live webcast for best selling author Debra King. 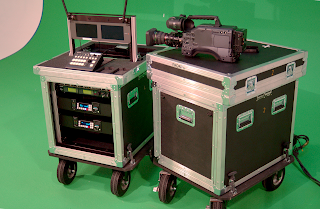 We used our Video Flypacks to provide HD streaming webcast services. ICV doesn't stop at the end of the video cable.. No.. We have on staff highly skilled web engineers and designers. As the day of the webcast approaches, back in our Pleasanton Ca studio our developers are busy building an e-commerce access controlled media portal and video player where we deliver your streaming video and synchronized slides. Our clients tell us thzat they choose ICV Live Webcasting services because we provide the entire process. From Setup to Website Portal. Our services include our own Web Site Media Portal where we stream your event to live. We even setup a domain name for you if need be. We host the video player, the portal and the Streaming media. We give you embed links so that you can share your Stream Live or as an archive. 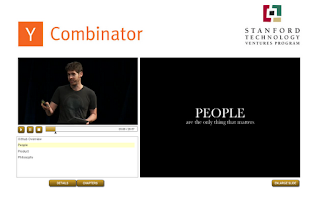 Ycombinator - www.ycombinator.com - Hires ICV Digital Media to provide live and on demand streaming video, HD Live webcasting for it's StartupSchool.org live webcast. Stanford campus in Palo Alto, Ca.